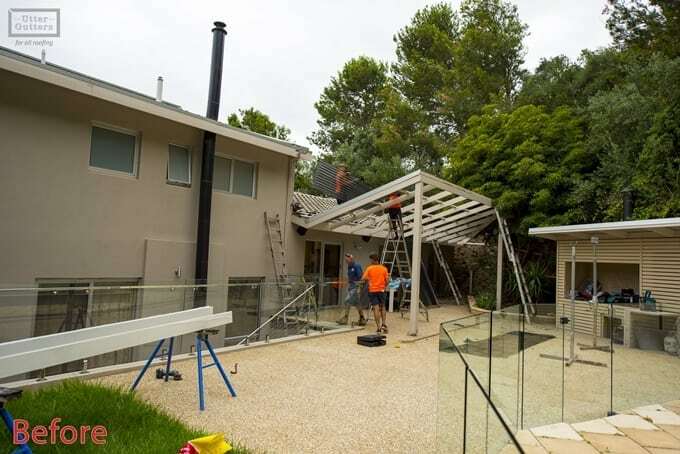 When customers come to us for advice about a verandah, patio or pergola, their objectives, and the issues that need to be overcome, are often similar for many homeowners. 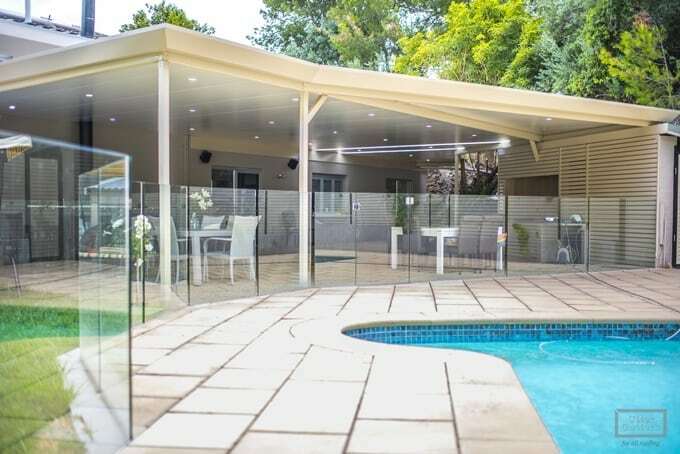 Every day, we are creating solutions for covering odd shaped areas, increasing or customising roof heights, blending new patios and verandahs seamlessly with existing house structures, minimising supports to maximise space and functionality, and all while building a structure that is rock solid and aesthetically enhances the home and garden. In this blog, we take a look at how we helped one of our customers overcome what started out as a series of significant challenges, and through some creative thinking and clever engineering solutions, were able to give them exactly what they wanted. The patio area of 124m2 needed to follow the shape of the exposed aggregate concrete section. The customer requested the minimal use of columns so they could enjoy their backyard view. The customer didn’t like the excessive framework of the existing structure, and wanted the new structure to have a ‘minimalist’ look to the supporting structures. Lighting was essential for night time entertainment, and daytime light was also required to bring natural lighting into the kitchen and dining room. 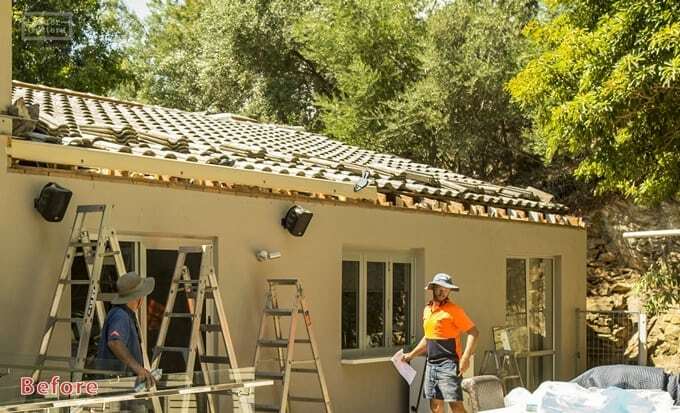 A request was also made to raise the ceiling of the patio by 2.7m to tie into the roof of the house and make it feel like a part of the house structure, rather than an attachment. Once we obtained all the necessary building approvals from the council, we started by removing the existing structure, including the post in the middle of the concrete area. The house eaves and gutter fascia were brought into line with the wall plate of the main house. This allowed us to raise the structure to the desired height and also keep the whole unit in line with the existing wall of the first story dwelling. 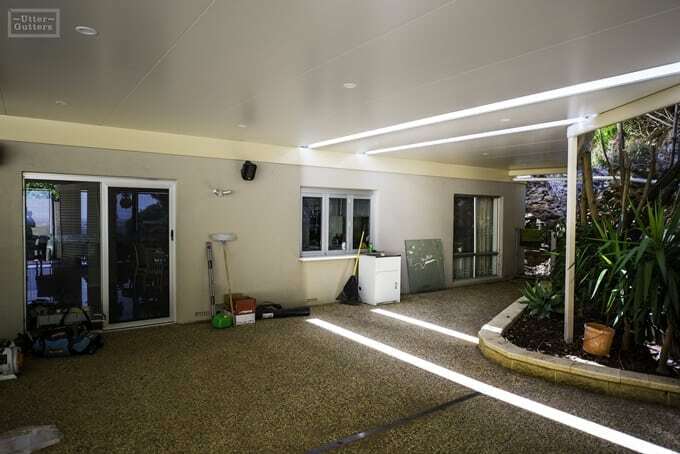 We used the Stratco 150mm outback beam with 75mm SHS columns and the 100mm Cooldek. 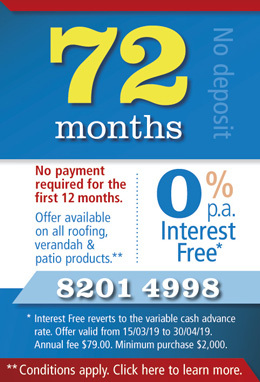 For the roofing, we used the 100mm Cooldek composite sheeting. The vast expanse at this point is 7.2m from the back channel attached to the wall to the front beam. 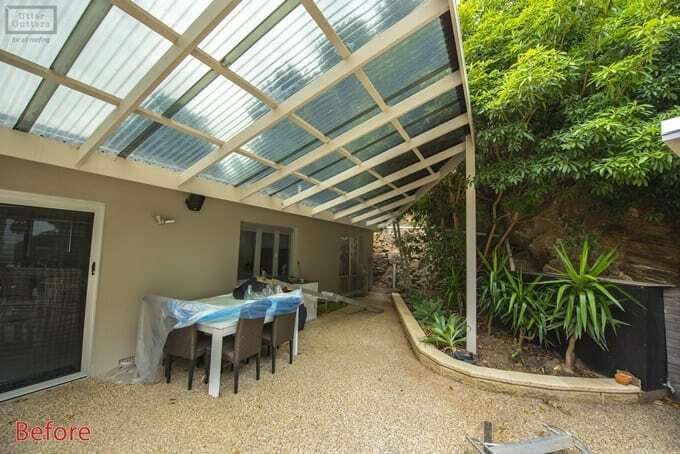 Provisions were made to install the new Stratco roof lights to bring natural light into the kitchen and dining area. We prepared the cutouts for the integrated lighting in each panel, with the wiring passing through the inside of the composite sheeting. As you can see, the new Stratco roof lights are incorporated into the Cooldek sheeting to complement the look and increase lighting where necessary. 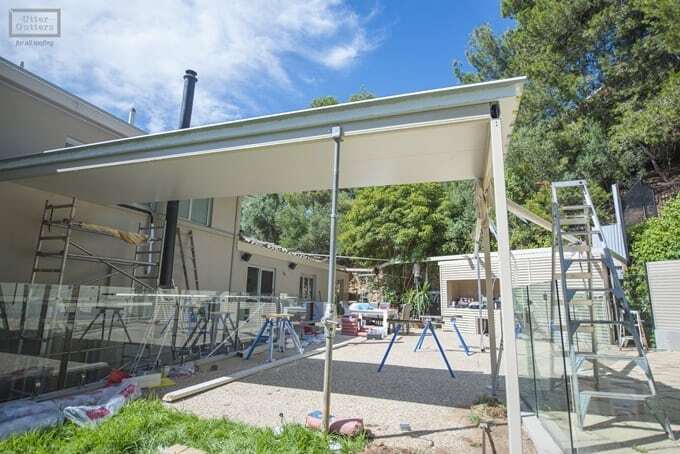 At the completion of the job, the finished product included everything the customer had asked for with the 7.2m span to the pool line and columns outside of trafficable areas. A reinforced Stratco beam with knee braces on the columns, eliminated the need for an unnecessary column. The knee braces supported the extra span, leaving the area as open as possible for a barbeque and a large entertainment space. The new patio covered the entire concrete area, fitting into the unusual shape. Only two columns are seen in the foreground, opening up the pleasant surroundings of the backyard. We achieved the customer’s height and attachment requests, giving the new patio the feeling that it is part of the house. The overall ceiling leaves a clean, clear ambience with natural lighting during the day and LED lighting for evening entertaining. 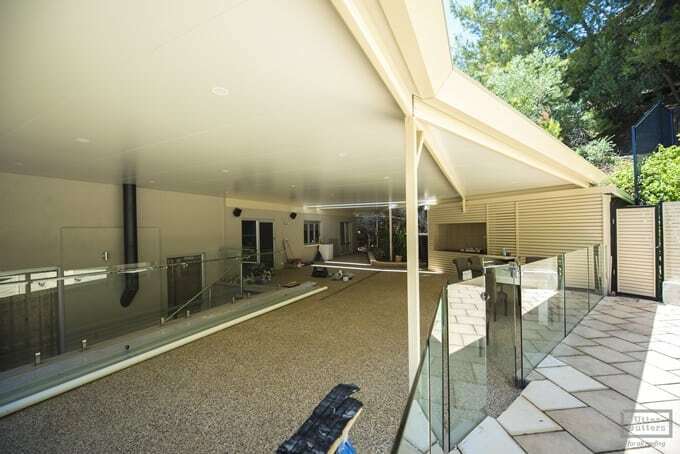 With the help of the Utter Gutters team, this customer was able to achieve their desired outdoor entertainment space.